Here’s the first ever peek at what could be the spacesuit of the future. It may look like something straight out of a sci-fi movie, but this design has been revealed as SpaceX’s futuristic new spacesuit by chief executive Elon Musk. The sole image that has been released does not give much away, but it appears to be a lighter weight than suits worn by Nasa astronauts. 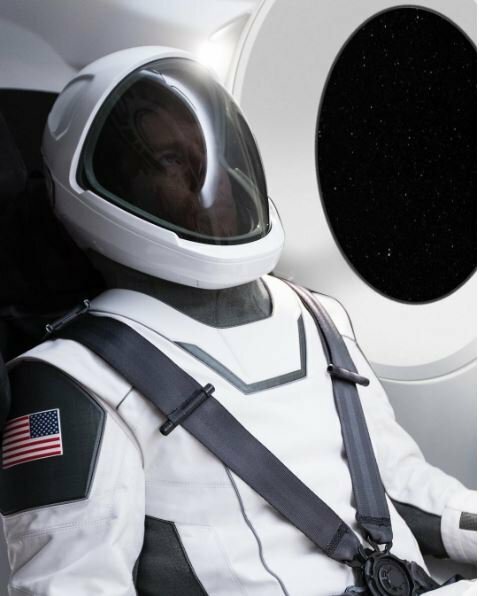 Writing on Instagram, Musk said: ‘First picture of SpaceX spacesuit. More in days to follow. Worth noting that this actually works (not a mockup). Other than its appearance, no details about the suit have been released. It features an American flag stitched on to the arm, while the helmet features a large visor allowing for utmost visibility. SpaceX, the aerospace manufacturer launched by Tesla boss Musk, has scheduled flights of its Crew Dragon capsule for next year. It will be able to carry people to low-Earth orbit – and those on board could be wearing something similar to this suit.